Ministers of the European Union member states on agriculture and fisheries will approve the granting of a visa-free regime for Ukraine at a meeting on May 11. So, according to the agenda of the meeting, the ministers will approve a number of legislative issues, including the issue of "exemption from visas for EU citizens traveling to Ukraine and Ukrainian citizens, owners of biometric passports, while traveling to the EU." In particular, the ministers will consider the Rules of the European Parliament and the Council of the European Union, amending Decree No. 539/2001, which specifies third countries whose citizens, when crossing external borders, must have a visa, and countries whose citizens are exempt from such a requirement (Ukraine). This issue is planned to be considered at about 11:00, Kyiv time. 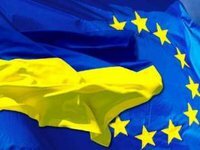 As reported, on February 28, representatives of the European Parliament and the EU Council agreed on visa-free travel for Ukrainians to the EU member states. On March 1, the EU Council, the European Commission and the European Parliament talked on granting a visa-free regime to Ukraine. The Committee of Permanent Representatives of the Member States of the European Union (COREPER) confirmed a decision reached within the framework of the triad on March 2. Thus, the completion of the process of liberalization of the visa regime requires several more procedural issues, in particular, consideration and approval of the issue at the plenary session of the European Parliament, scheduled for April 5, and approval by the Council of the European Union. After that, the document must be signed by the President of the European Parliament and the representative of the country presiding in the EU and published in the official journal of the EU. The decision to introduce a visa-free regime will come into force 20 days after publication.